I’ve been in love with brussel sprouts for about a year now. A little obsessed. Then I started experimenting with variations of recipes on Pinterest until I finalized this precious gem. Melted cheese (Yes! ), bacon (Of course!) and Brussel sprouts (My fav!)! It’s the perfect combination! How could it go wrong!?!? 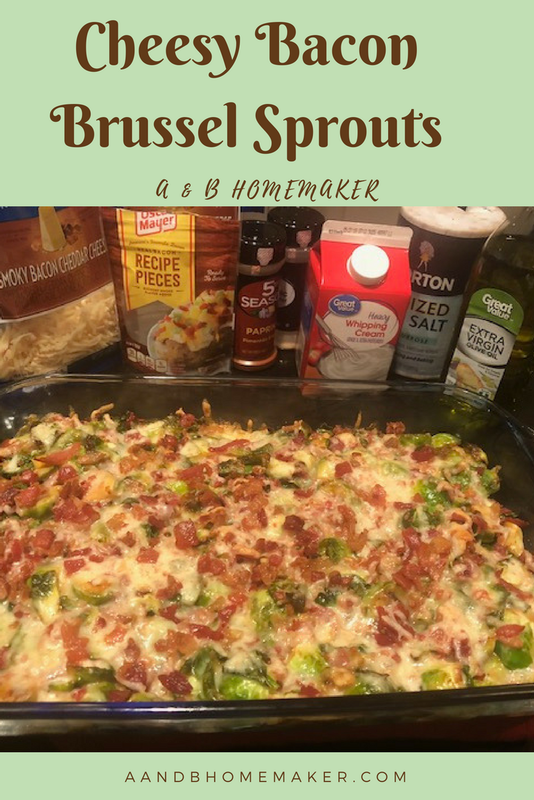 It has even been known to turn anti brussel sprouts folks into brussel sprout lovers! I hope you all enjoy! 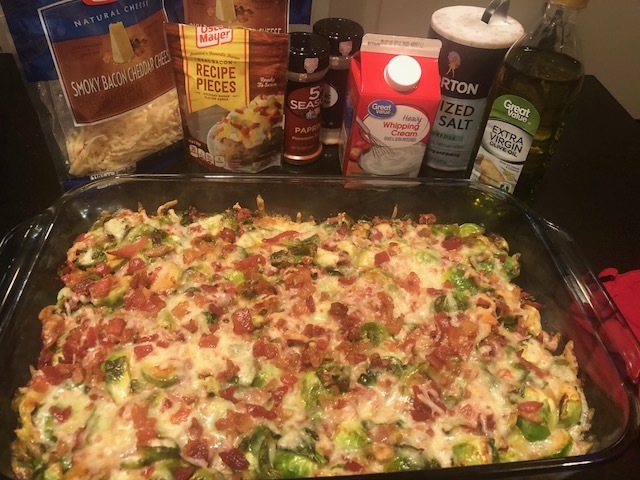 Mix everything and add the left over cheese and bacon to the top. Bake for about 15 minutes or until the top is brown. Then let the dish cool and enjoy! !